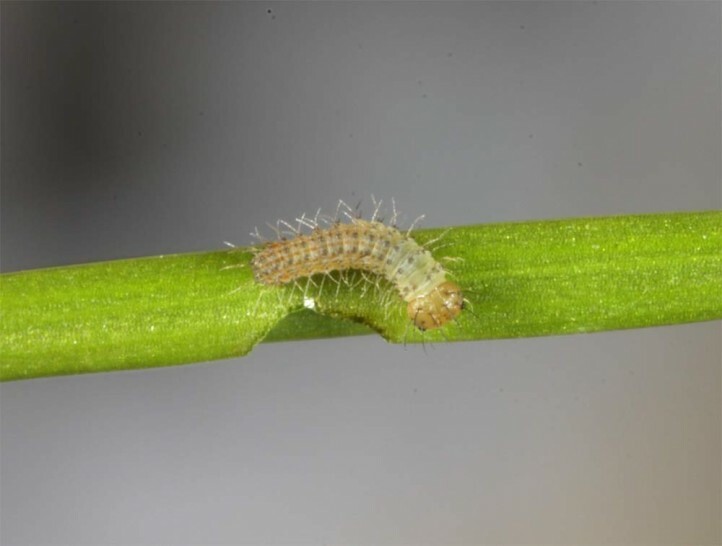 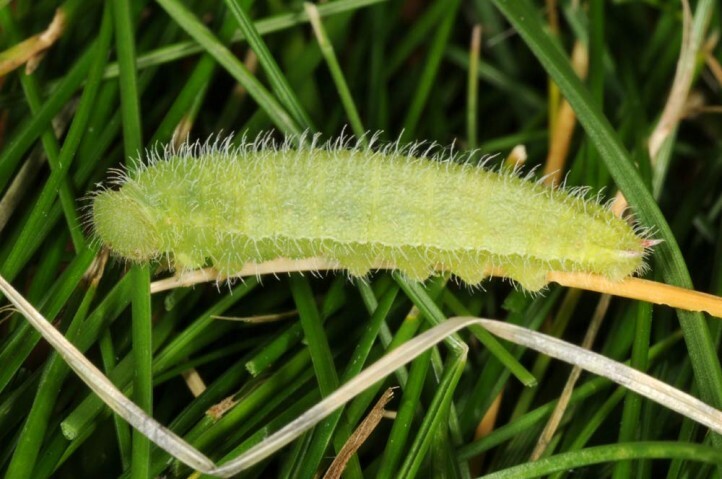 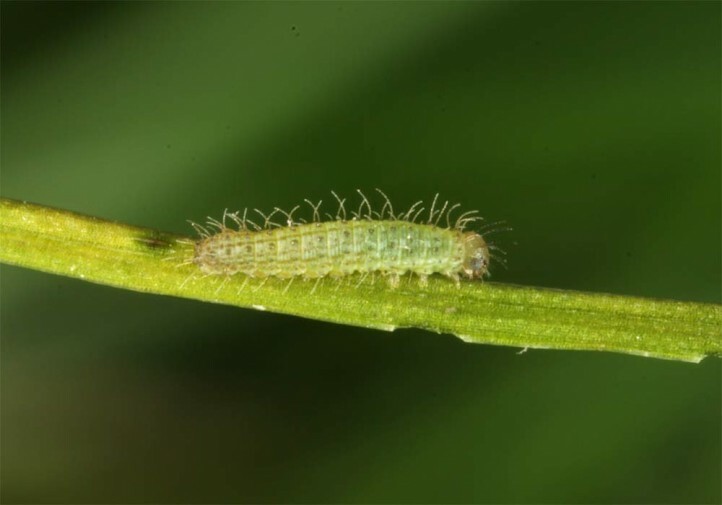 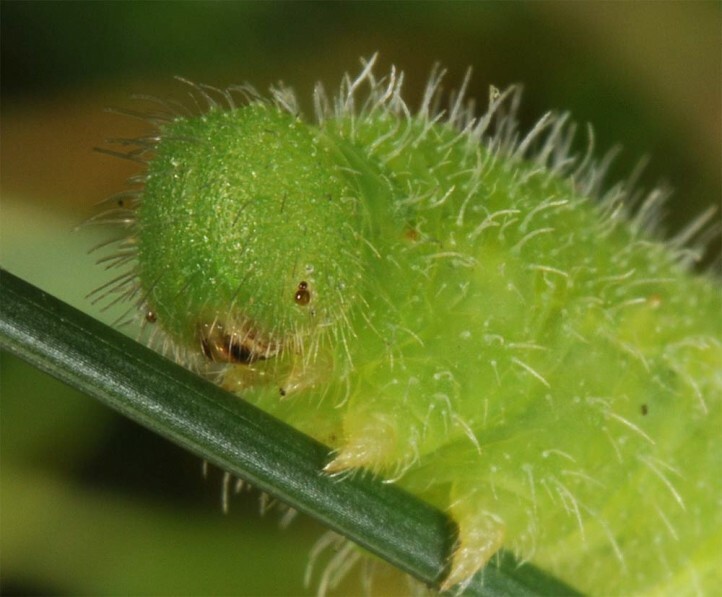 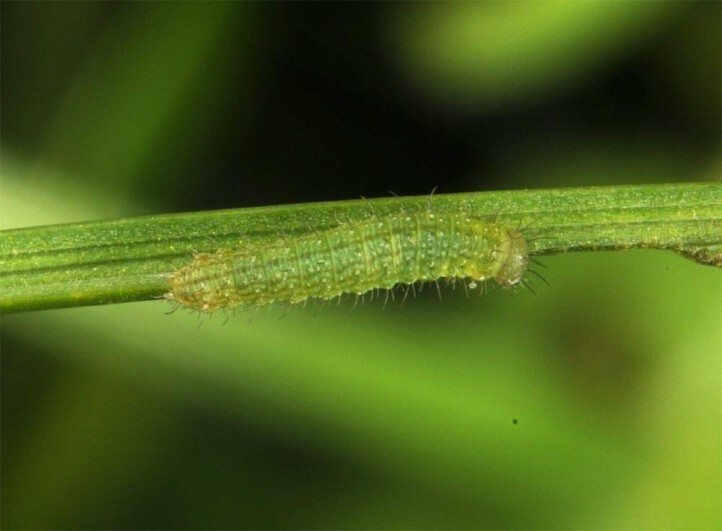 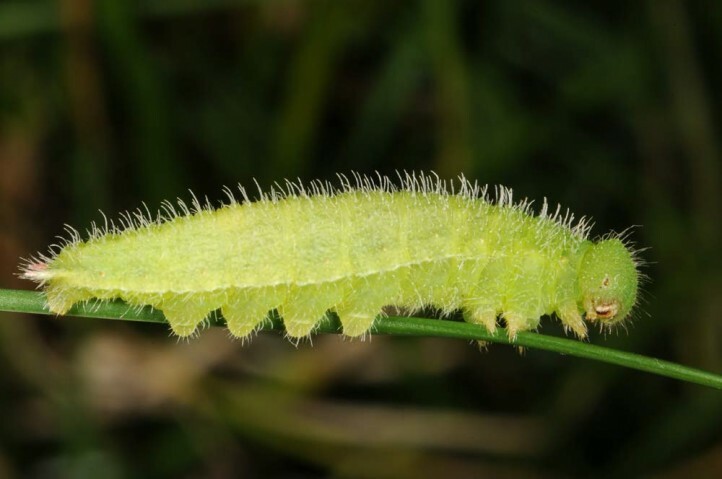 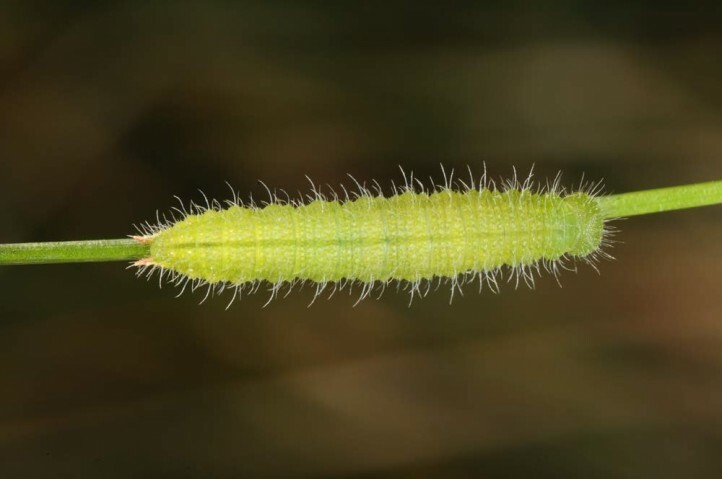 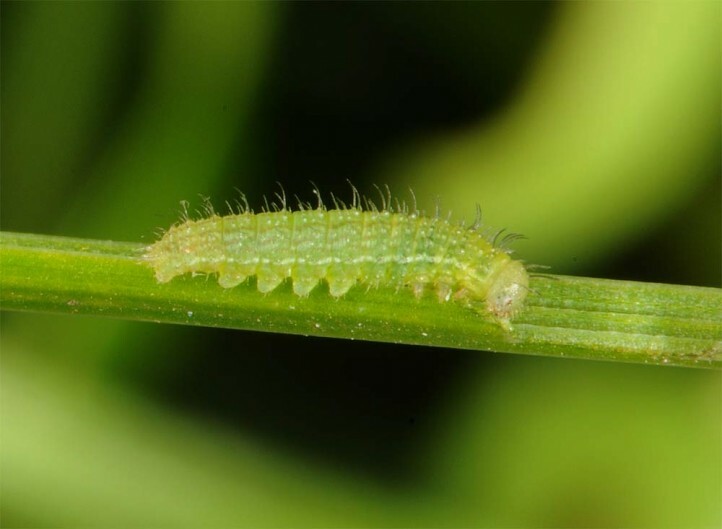 The larvae feed on various grasses of their habitats. 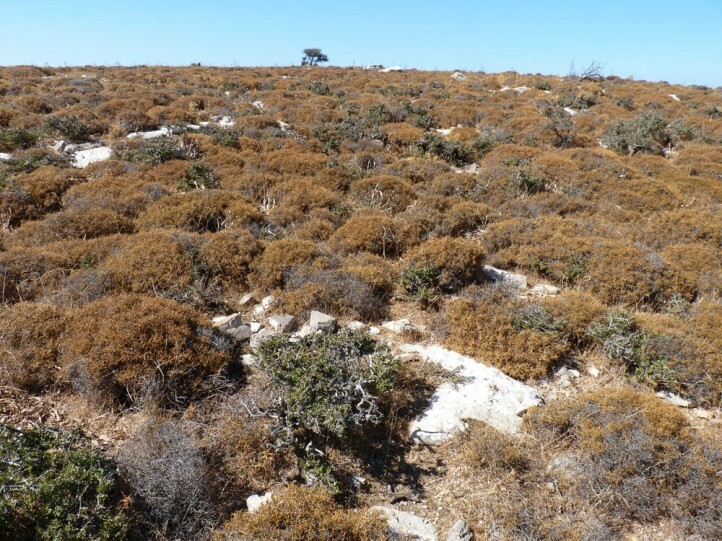 Maniola telmessia inhabits almost all habitats that are rich in grasses and occur in coastal areas, garrigues, rocky slopes and in open forests. 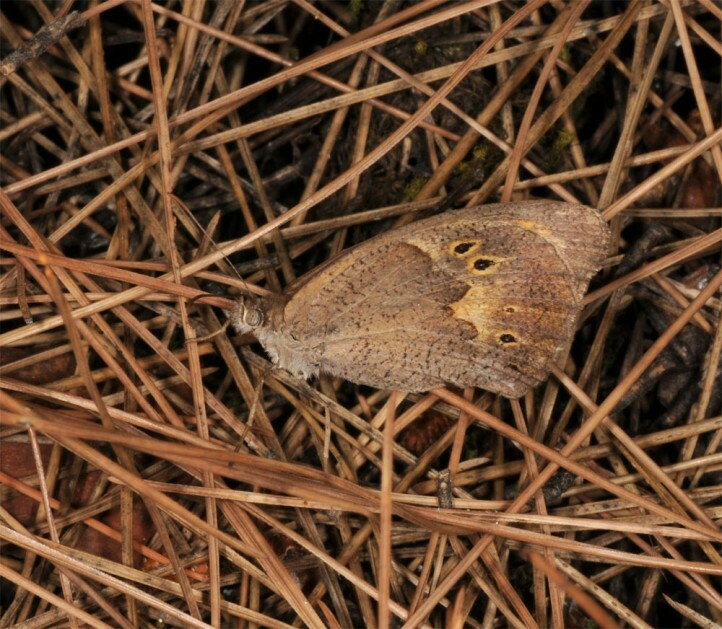 For aestivation the adults often retrieve into shady pine forests, but are also observed around umbrageous rocks. 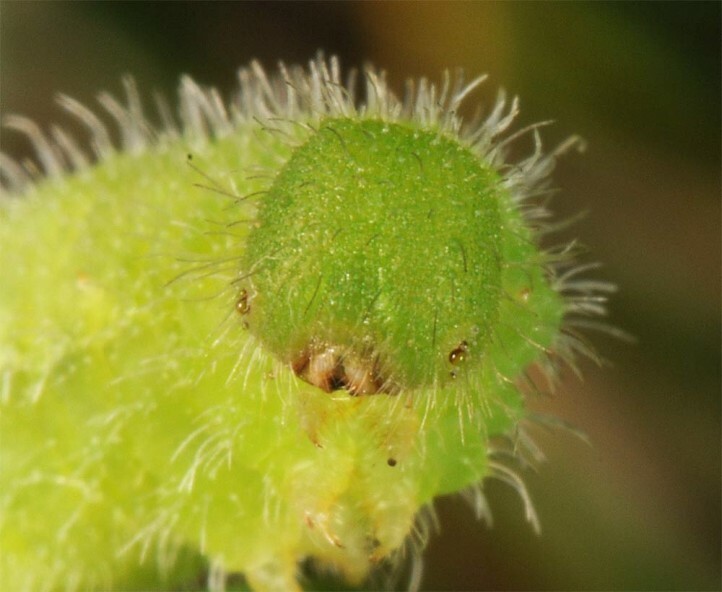 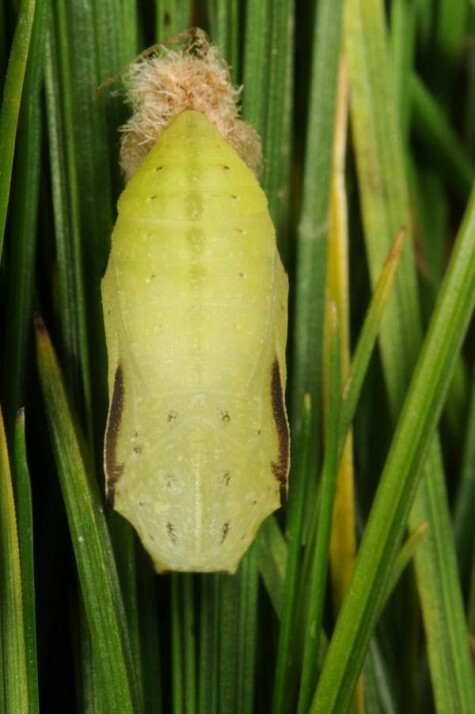 The larva develops from autumn to spring. 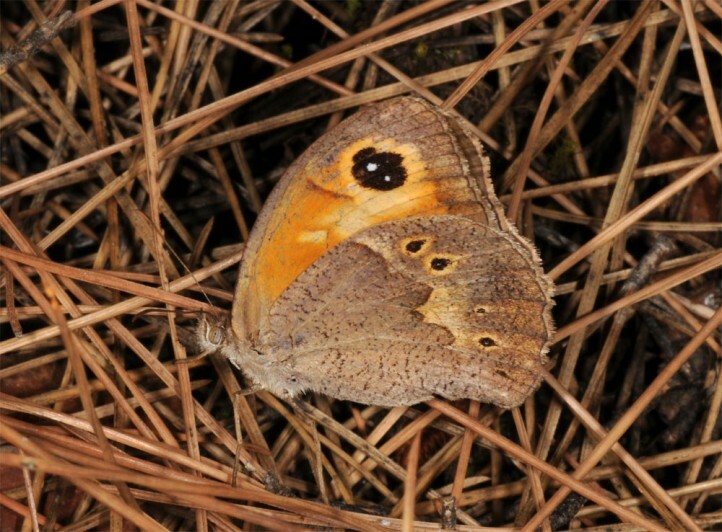 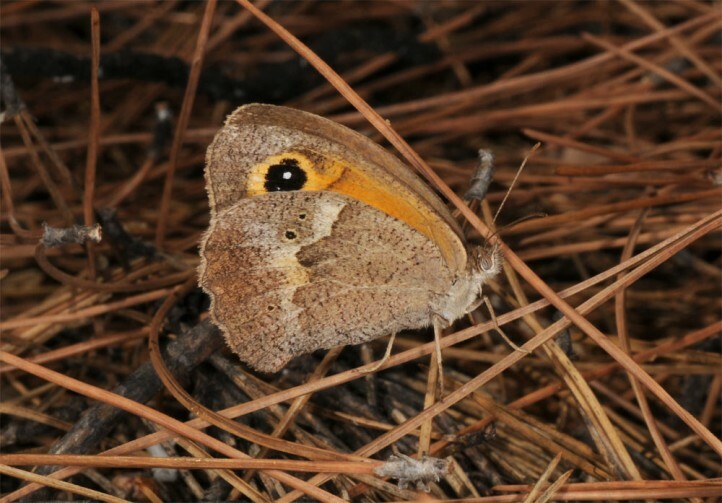 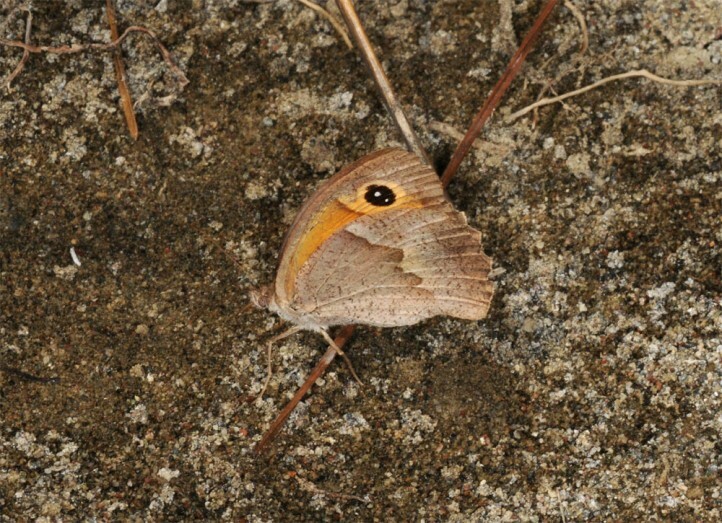 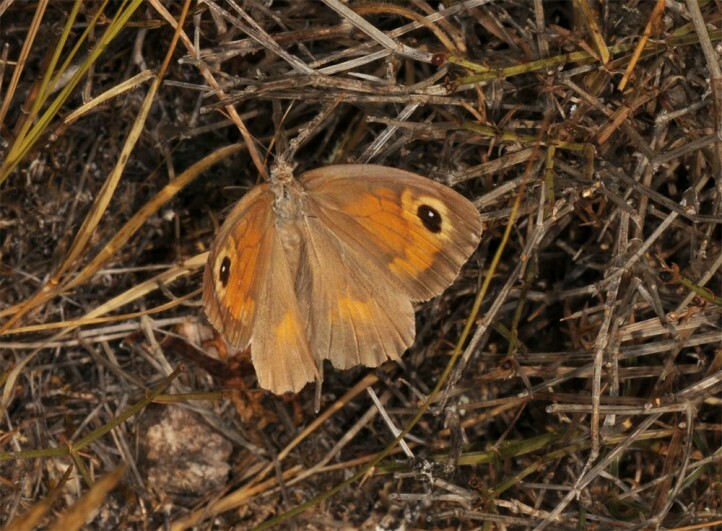 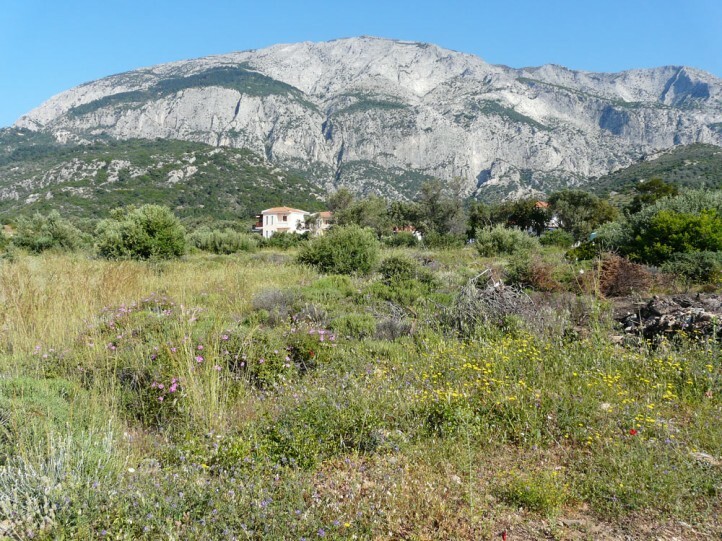 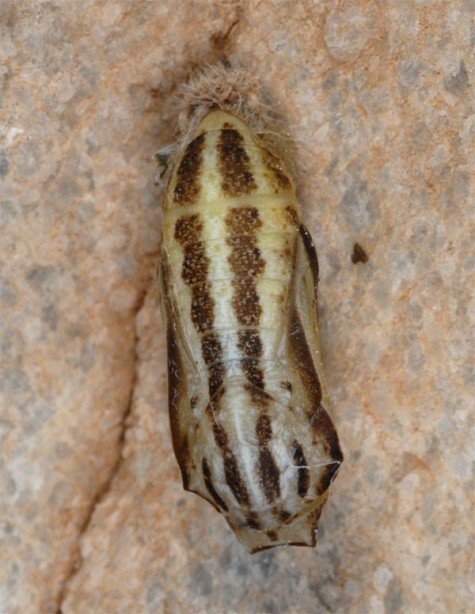 I observed pupae and first males in Samos already in early May 2009. 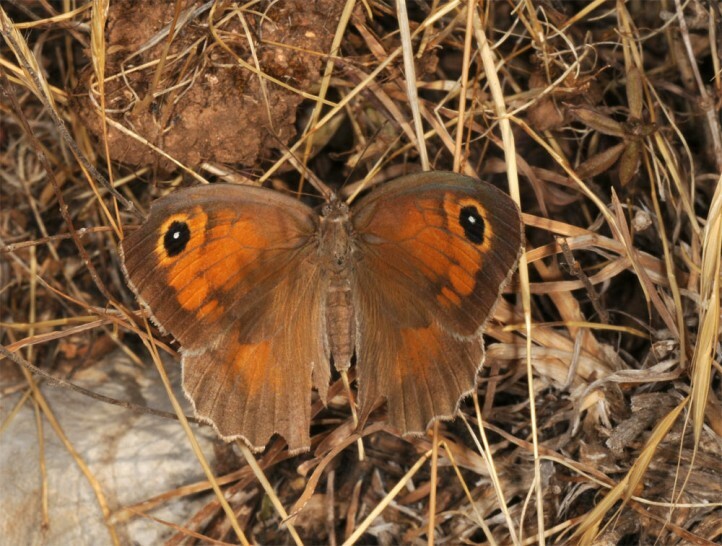 Mating takes place in the early summer. 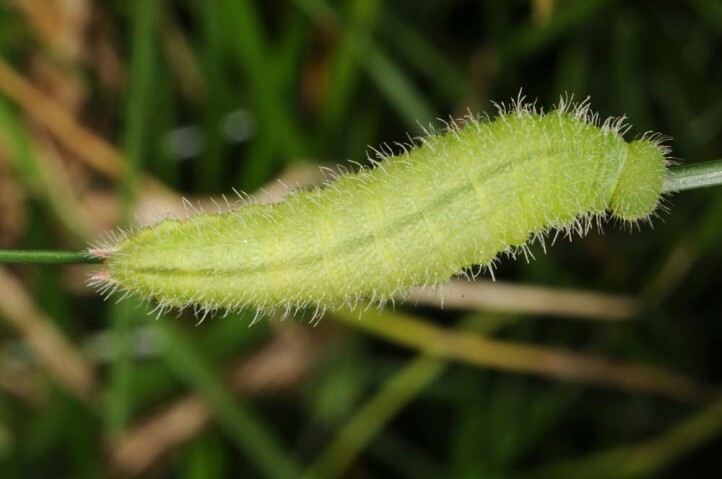 Therefore it is not necessary for the males to aestivate in significant numbers. 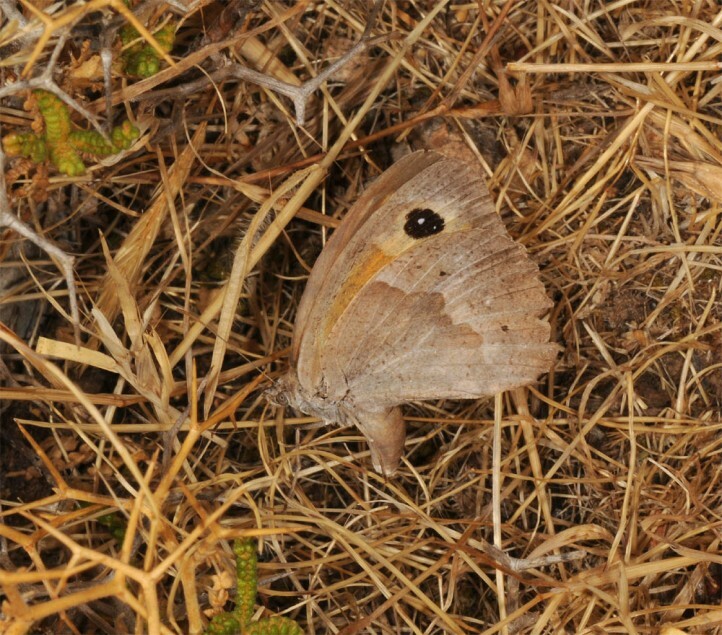 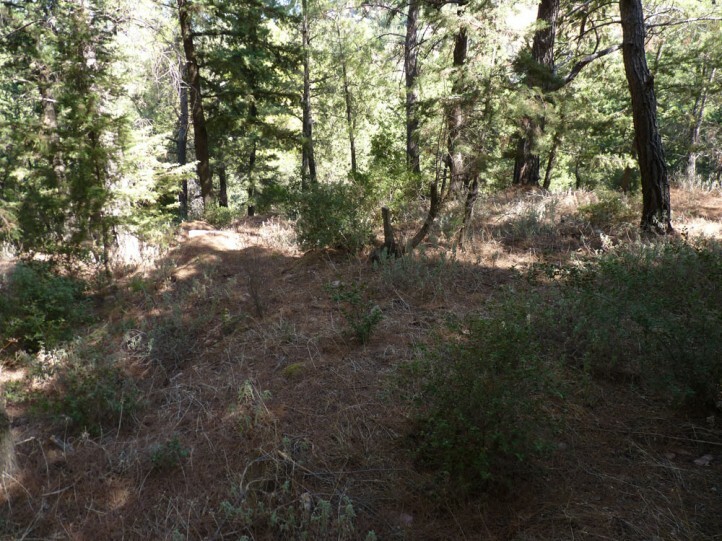 Aestivation for survival of summer drought usually extends from June/July to September. 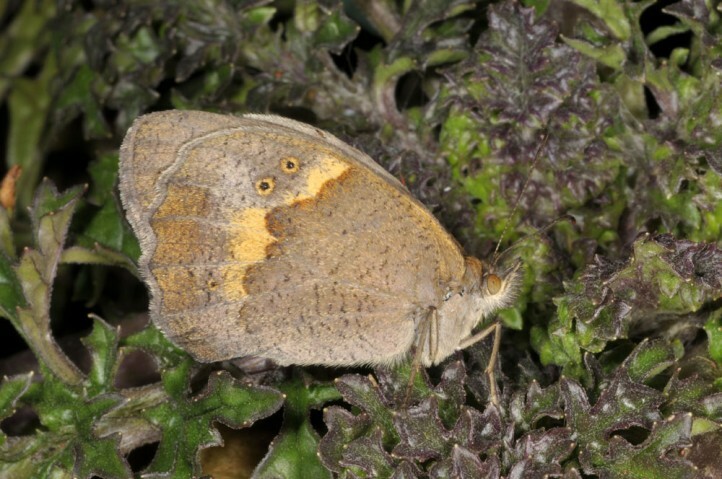 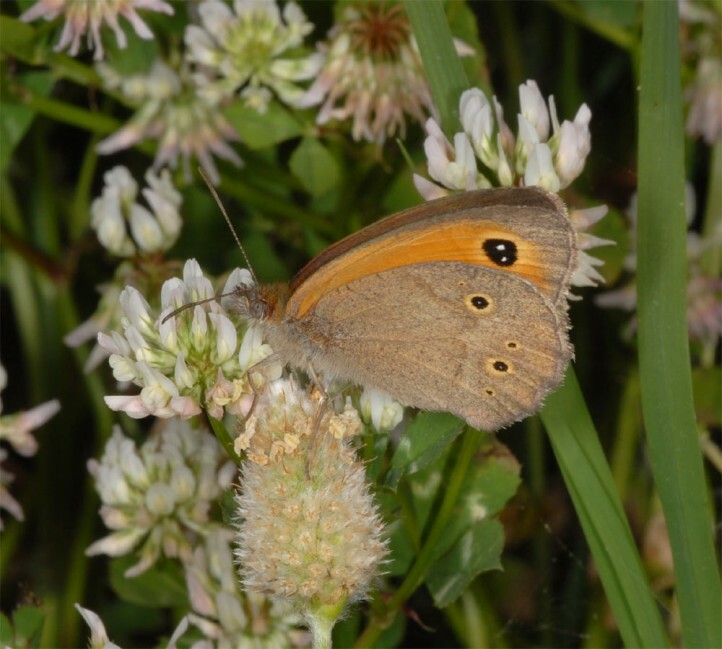 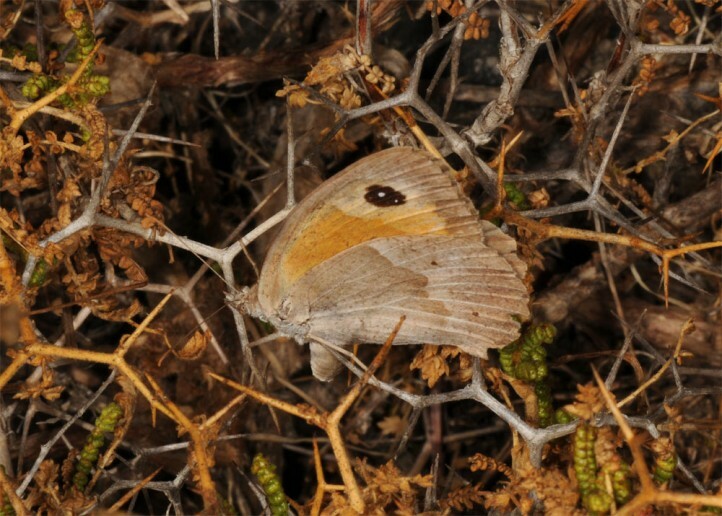 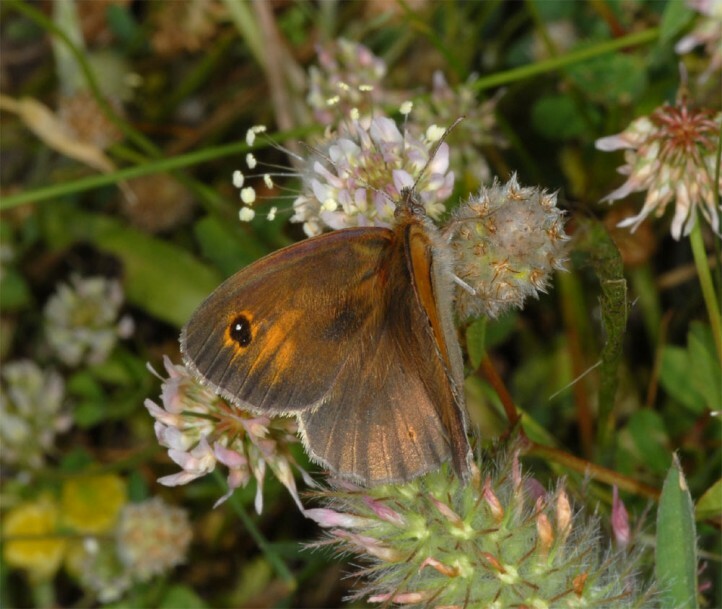 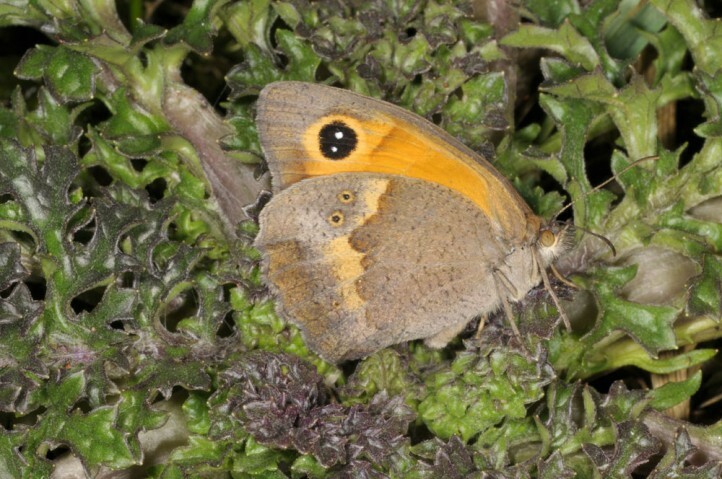 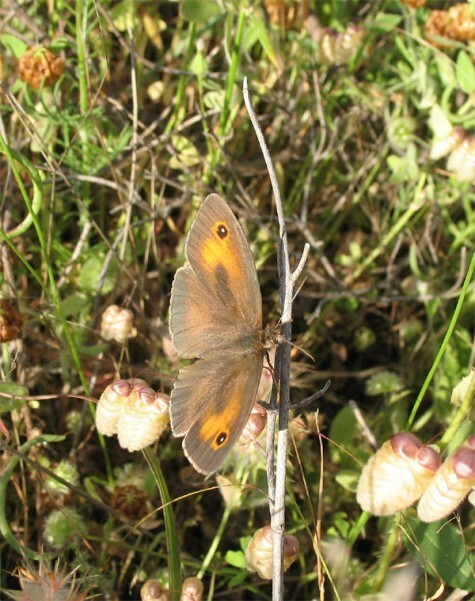 In autumn you will thus observe mainly females which oviposit in September and October as observed in late September in Rhodes. 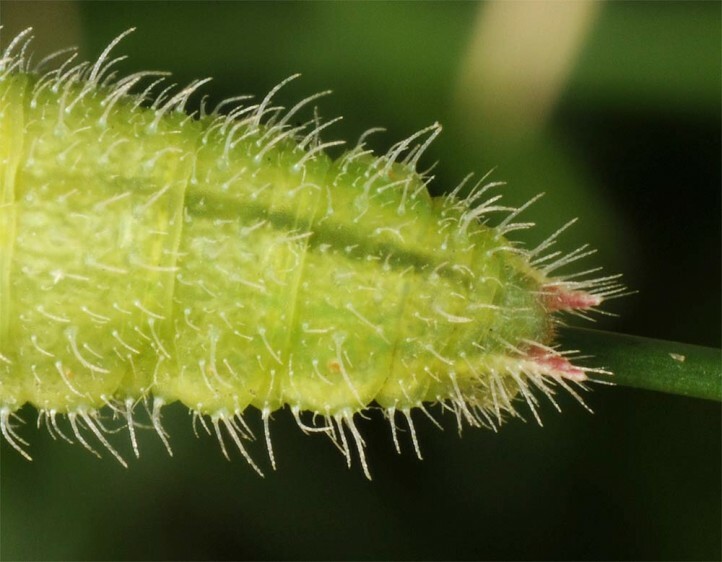 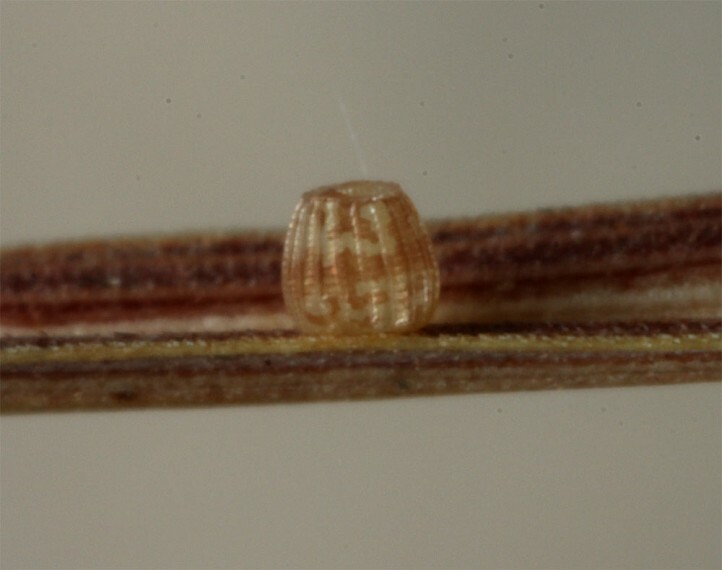 They can attach their eggs to plant parts, but are also capable of letting them simply fall down with crooked abdomen (observed several times). 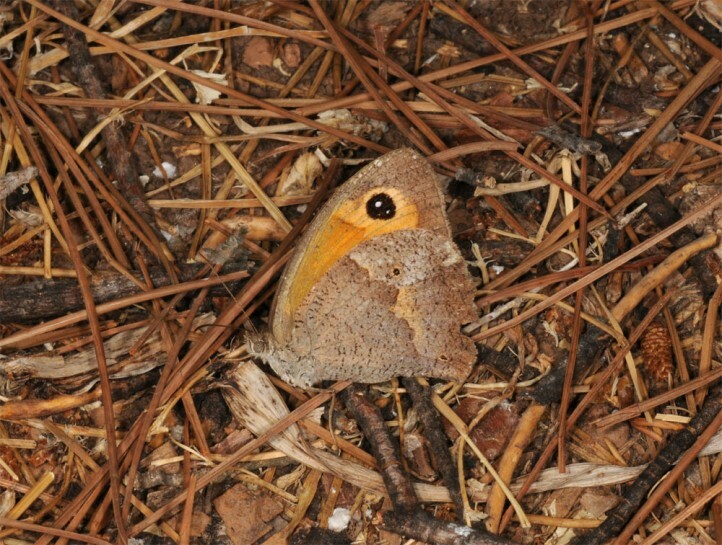 As the cement substance is available also in this case, the eggs sometimes get caught in the vegetation and sometimes fall to the ground. 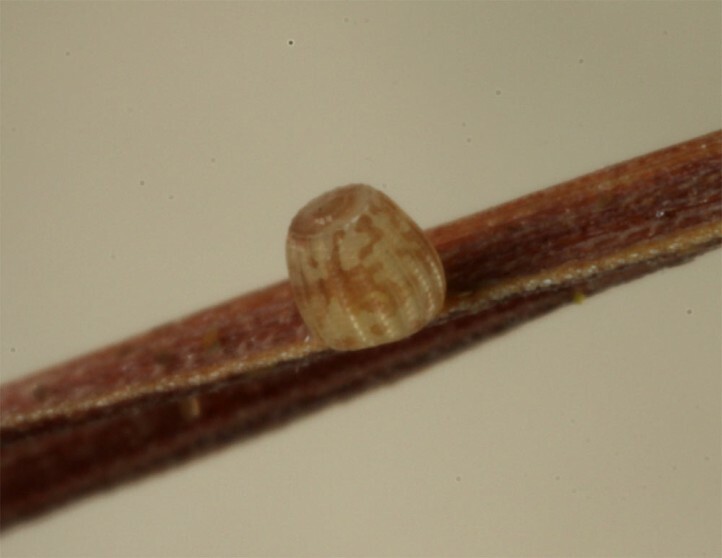 The eggs are very small. 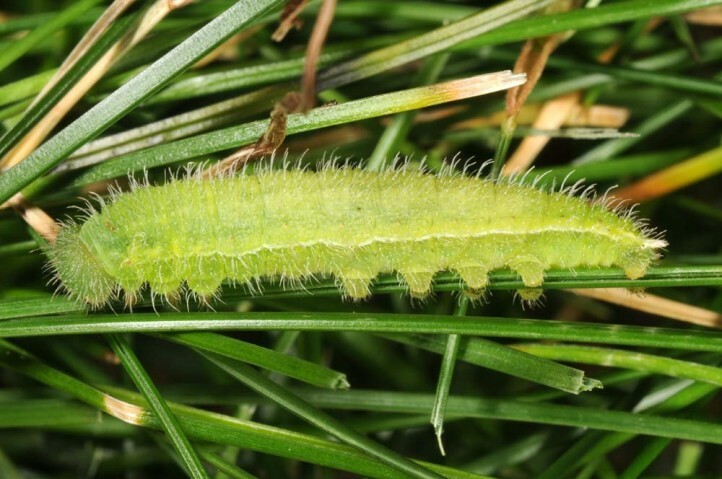 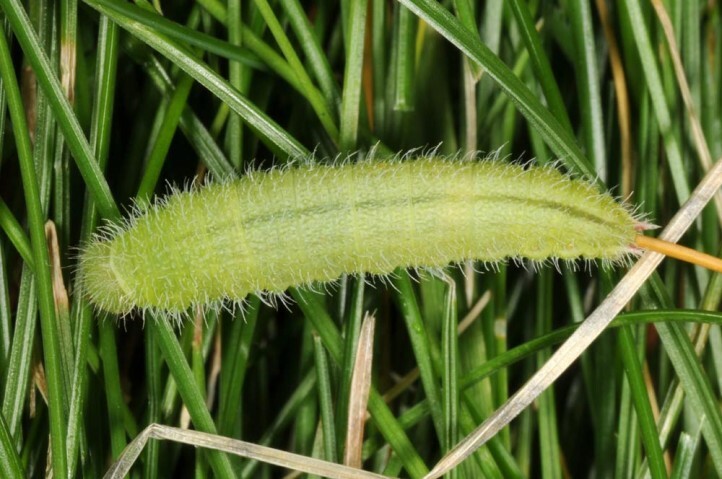 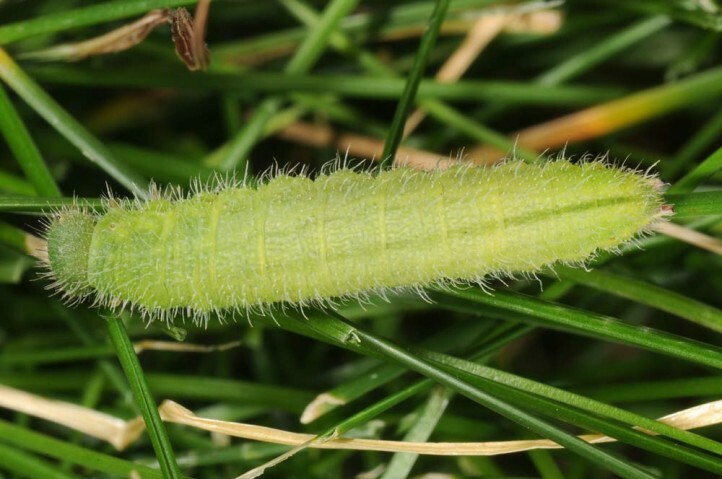 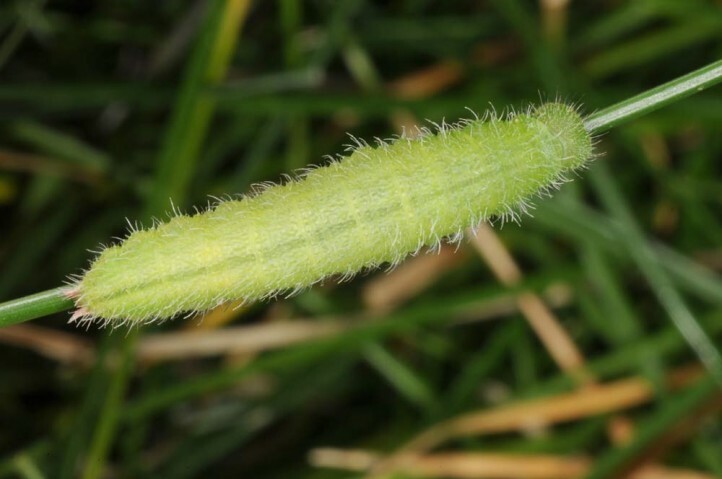 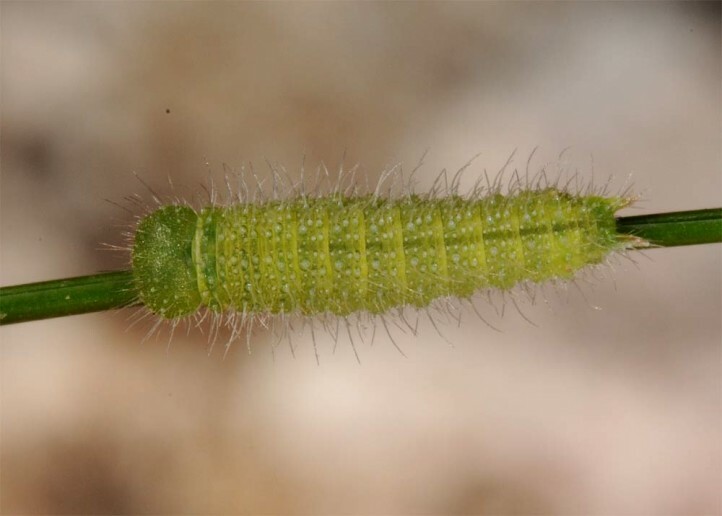 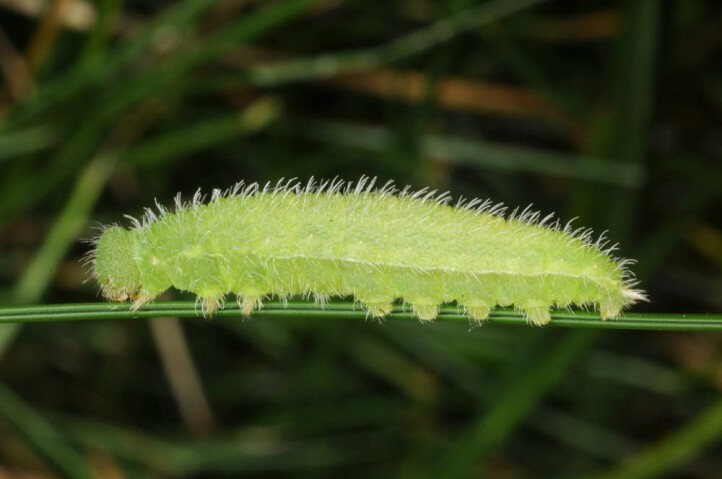 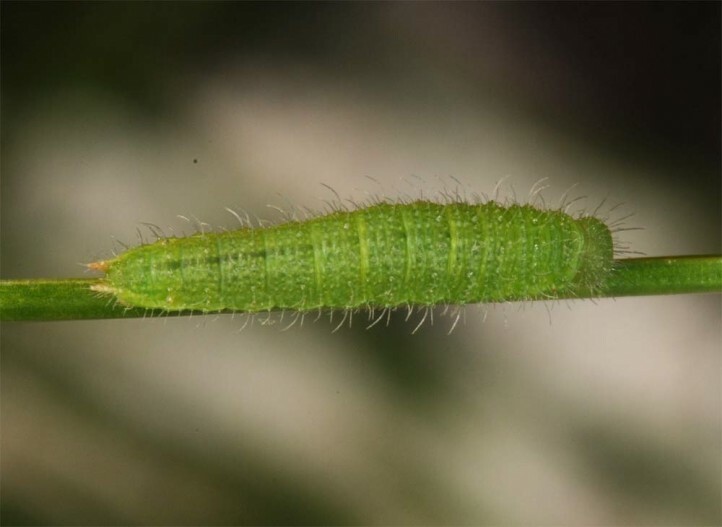 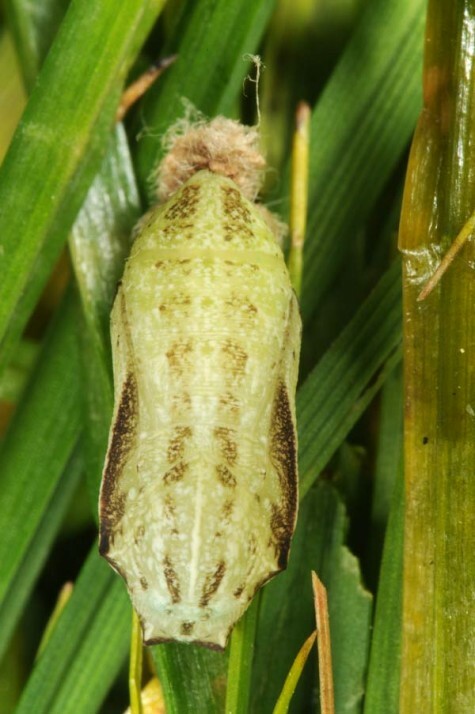 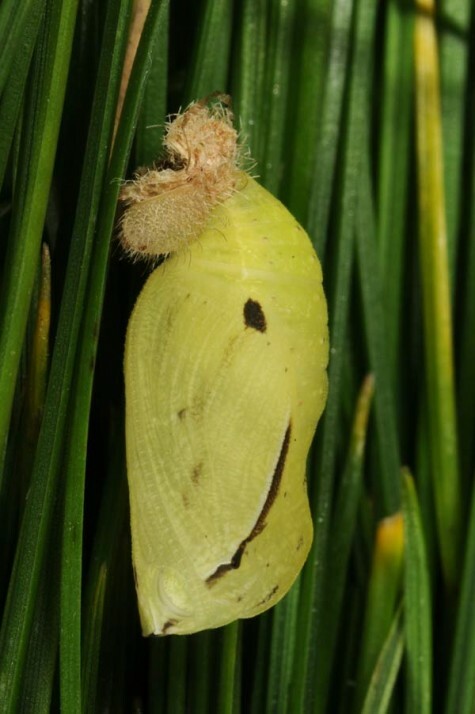 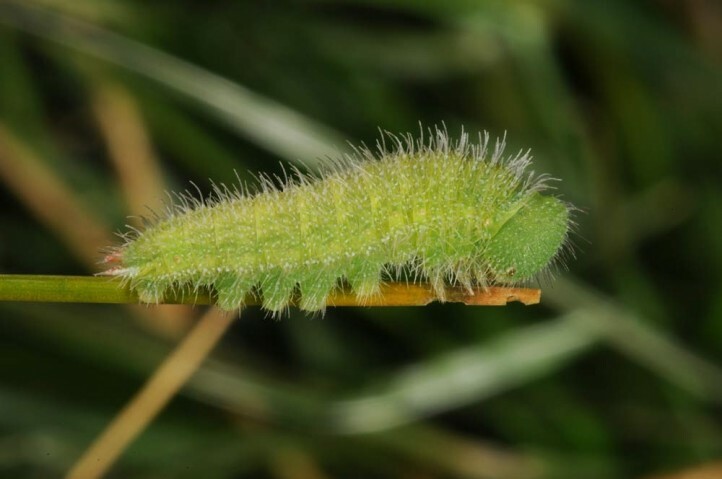 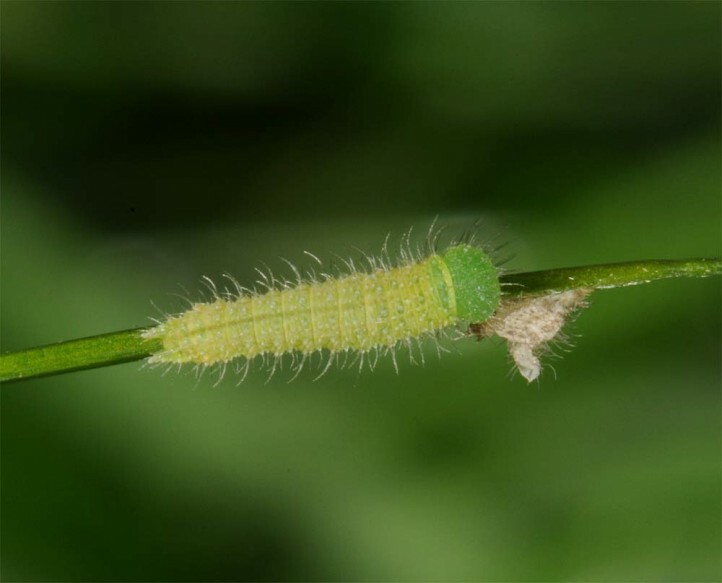 The hatching larvae depend on the fresh grass shoots after the first autumn rainfalls. 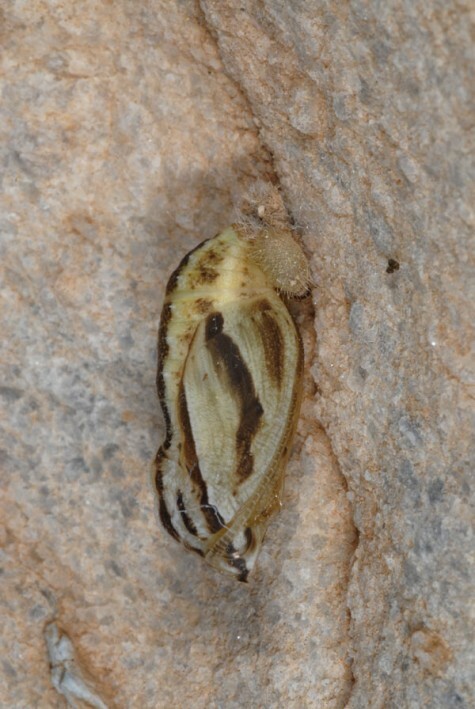 Maniola telmessia occurs from the east Egean islands (e.g. 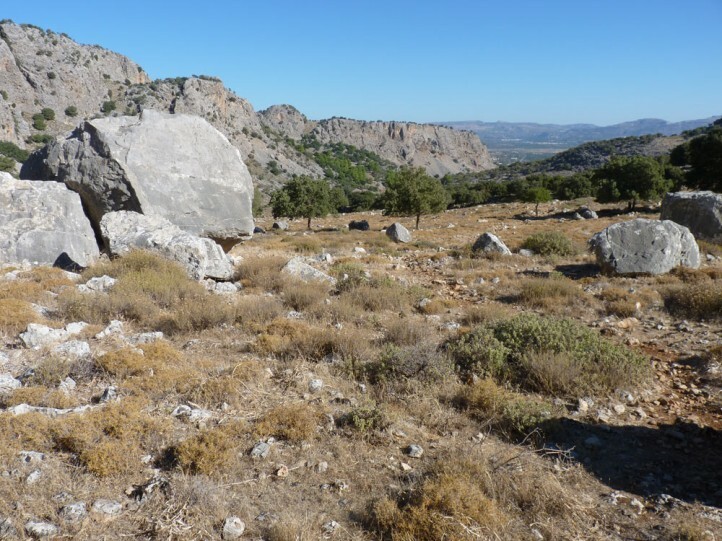 Samos, Kos, Rhodes, Tilos and others) across Asia Minor and the Near East to Iran.